If you need a product shaped, whether it is made of metal, plastic, or even wood, CNC turning is the best machining solution. For this, an operator relies on a computer numeric control (CNC) machine, which ensures a precision result. Instead of using a lathe that requires continuous attention by a trained operator, a CNC lathe performs multiple cutting actions while under computer control. Ultimately, the CNC machine used for turning tells the lathe how to move the tools and which sections to cut. When facing a tight deadline for CNC turning services, it is imperative that you turn to the right source. However, if you add in the fact that you need a custom CNC part or component, your decision becomes even more critical. While it might seem as though all fabricators provide the same type and caliber of service, there are actually many distinct differences. For precision CNC turning, every project is unique. Not only do customers require parts and components made to specification, but they also need different types of products. Therefore, it is imperative to choose the appropriate workpiece material. The goal of using a CNC turning center is to end up with a precision finished product. But unless the right high-quality material gets used, the outcome will fail to meet your expectations. When you need CNC turning services, you might be tempted to hire the first manufacturing company that you find. However, because this cutting service is used to achieve 100 percent accuracy of both standard and custom components, you need to make this decision carefully. Otherwise, you could end up with a subpar or defective part or component that could result in extended downtime, a delayed delivery to your customers, and even damage to your stellar reputation. Regardless of your industry, if you rely on complex parts and components, precision CNC turning is essential. 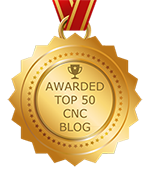 More than ever, CNC turning operations are in high demand. However, not all manufacturers produce the same quality finished products. Therefore, you need to identify a top precision CNC machining services supplier or manufacturing company that can produce components to your specifications. That way, you get to enjoy all of the benefits. Read more!